THIS WILL BE A FUN NIGHT COME OUT AND CHILL FOR TROMAS B-DAY PARTY. 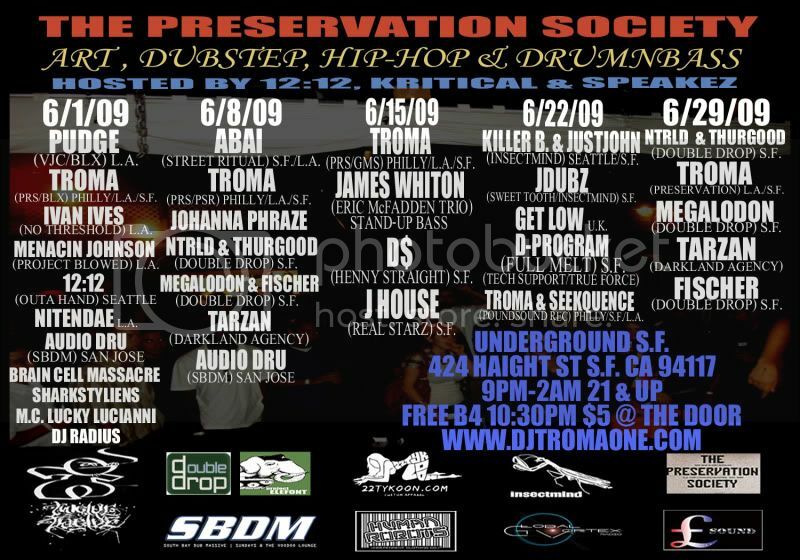 Description: The Preservation Society weekly at UGSF blending DNB, Dubstep and Hiphop. Tickets: Free before 10:30, $5 after. Description: Excellent Monday night events with local talent on many musical fronts including dubstep, drumnbass, and hiphop. 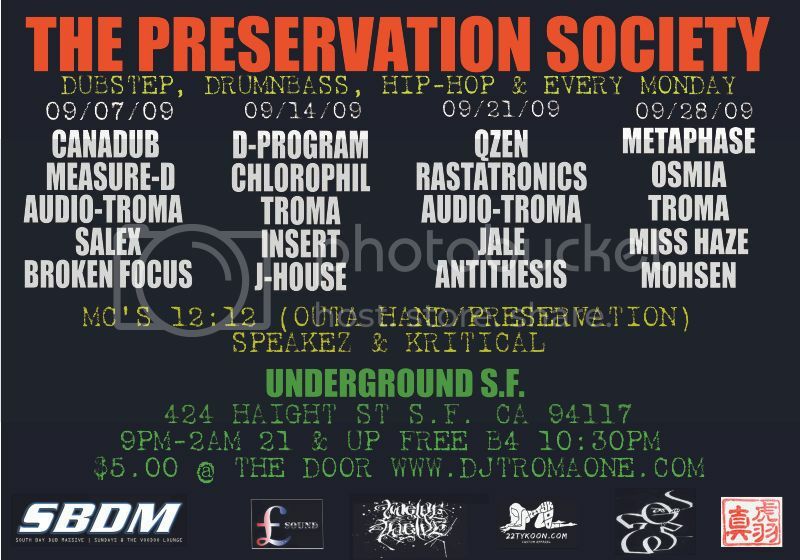 Description: Monday night local talent at Underground SF. This one: NTRLD, Thurgood, Troma, Megalodon, Tarzan and Fischer. Description: Monday night local talent at Underground SF. 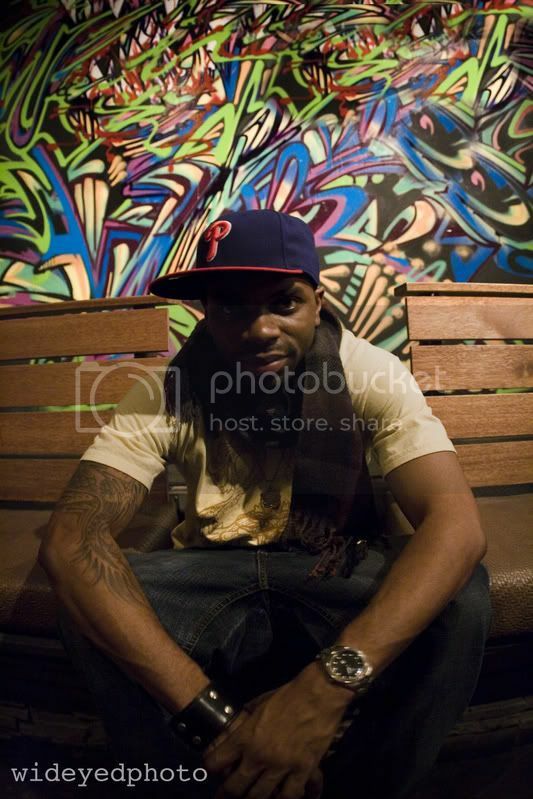 This one: Killer B, Justjohn, Jdubz, Get Low, D-Program, Troma, and Sequence. 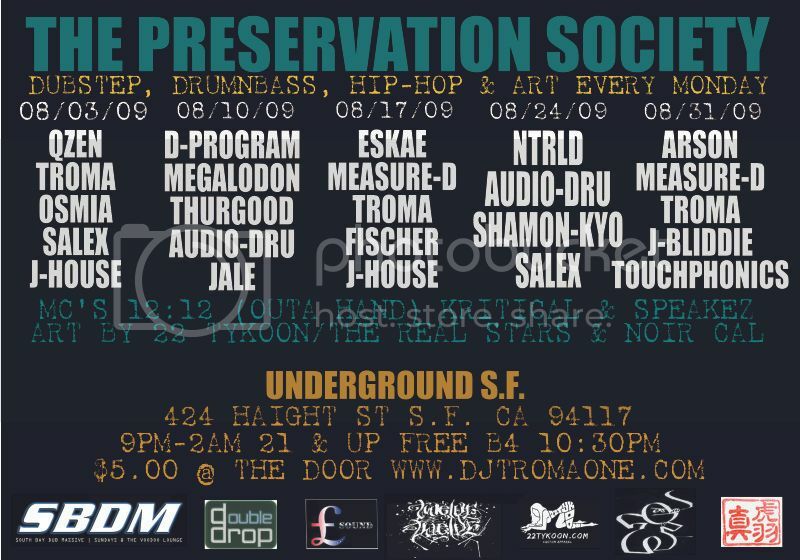 Description: Monday night local talent at Underground SF. This one: Troma, James Whiton, D$ and J House.